There is a drive for greater accountability across all areas of business, and this has certainly brought a much sharper focus on measuring media ROI. Within media, the arrival of digitally delivered communications has led to a torrent of daily data that offers the possibility of continuous analysis. However, the evaluation of media performance is one of the least developed measurement disciplines and there has been relatively little change in the way that media channels are evaluated for effectiveness and efficiency since the 1970s. The emphasis remains on measuring media buying performance and on using proxy measures such as ratings, reach, frequency and cost-per-thousand. This means that the core task is often to measure the media agency’s performance, rather than the business effectiveness of the media. In fact, the measurement of media performance has arguably regressed in recent years, with a renewed focus on ‘cost per GRP’ as a primary measure of performance. One of the key challenges of media buying is the ability to deliver an advertising message to a real person who is identified as a customer or potential customer. Advertisers receive the best media value only when their message is delivered in the manner, place, format and time that will encourage a response from that customer. Measuring media value helps to ensure you get the best possible ROI from your media investment. After all, if you don’t know the value of your media spend, how can you know if you are getting the right deal? Media Value Tracking is an industry best practice that almost all advertisers use to control their media investments. The primary purpose of a Media Value Track is to improve media value performance rather than to score agency performance, so it is best used as part of a wider evaluation of the factors driving business effectiveness as this will provide a more holistic view of how performance can be improved. The process validates an agency’s delivery of media price and quality against either fixed pricing established during a media pitch (usually in year one of a new contract), or market price inflation “hedges” (usually in year two onward). This ensures that the agency is held accountable for delivering its contractually binding media cost and quality guarantees, as well as helping to drive ongoing efficiencies against market inflation. Taking things further, you can link a Media Value Track to your agency remuneration model along with other elements such as service evaluation and business performance. The outcome of a Media Value Track is a saving or loss percentage and monetary value. The accompanying report will identify the factors that are influencing the outcome and should make recommendations for future improvements. Media Value Tracking is usually a component of a Performance Related Incentive Program (PRIP), also known as Performance-Related Fee (PRF) or Pay for Performance (PFP). This annual calculation is used to determine the bonus or malus and sometimes the profit margin to which the agency is entitled based on their performance. With the ever-increasing emphasis on holding marketing spend to account and making agencies accountable for business performance, it is no surprise that performance-based agency remuneration models are becoming more prevalent. Because of their complexity, it is advisable to call in external experts to construct and manage an agency’s PRIP model and to align both parties around mutually beneficial objectives. Effective PRIP design should deliver against a number of objectives. First, it must establish a mutually beneficial and self-sustaining commercial framework between the client and the agency. Secondly, it must align client and agency stakeholders from different disciplines around the correct quantitative and qualitative metrics to drive the right behaviours. Finally, it must create flexibility within a structured framework to achieve both global consistency and local market adaptability. How do agency volume deals work? To maximise media value, it is critical that a PRIP mechanism is properly implemented through an Agency Performance Management (APM) programme. This will focus and align the agency on delivering against the advertiser’s business objectives and will encourage a culture of incremental improvement with key advertiser and agency stakeholders clear on how additional value is being delivered. Regular agency performance reviews will identify any service or value delivery issues and will implement an action plan to resolve them. Importantly, it will also ensure that an agency is financially held to account for poor performance. Using an external expert to implement your Agency Performance Management programme provides you with impartial advice and ensures that everything is properly project managed. The experts will usually be able to assess and resolve potential issues ahead of key agency performance meetings to help deliver a smooth process. It is advisable to assess agency performance at least twice a year, enabling the agency to course correct any areas of poor performance before the final assessment and PRIP calculation. Read more about Agency Performance Management in Managing Media Agencies. The digital landscape has been described as “murky at best, and fraudulent at its worst.” Many advertisers have begun closely scrutinising their supply chain to find new ways to minimise potential losses to their media value. Doing this effectively involves moving beyond well-established Media Value Tracking methodology to examine all the components of the digital ecosystem, with a primary focus on programmatic media. One of the most effective methods available is a Digital Supply Chain Audit. 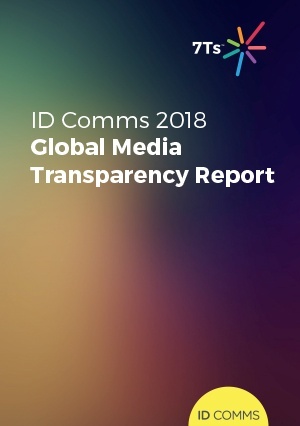 This assesses the advertiser’s existing digital media supply chain to uncover areas of value loss and then provide clear recommendations for improvement, shining a light on areas where governance can be tightened and media productivity unlocked. Essentially, a Digital Supply Chain Audit extends the same level of rigour to programmatic media as the industry applies to traditional media channels, helping advertisers take back control of their media investments. A Digital Supply Chain Audit must first analyse the current programmatic setup, outlining its benefits and limitations in comparison with other available models. Where a model is identified as non-disclosed, clear recommendations should be sought to improve the model, transparency and access rights, with a realistic implementation plan and key timings. The audit should provide a spend analysis including the proportion of your budget used as working media, on targeting data, and deployed on tech fees, agency fees and ad-serving costs. It should analyse the working media spend by channel, publisher category and individual category and should provide campaign pacing analysis and an impact assessment of invalid traffic. This level of detailed analysis will provide you with a clear picture of where money is being spent in the chain and will highlight possible improvements you can make to deliver even greater media value.